We are counted as preeminent exporter and manufacturer of supreme quality Glass Filling Machine. Our offered machines are well accepted in their market for their effective functionality and excellent productivity. These machines are precisely designed and superior finished owing to their fabrication by utilizing fine grade materials and modern techniques. 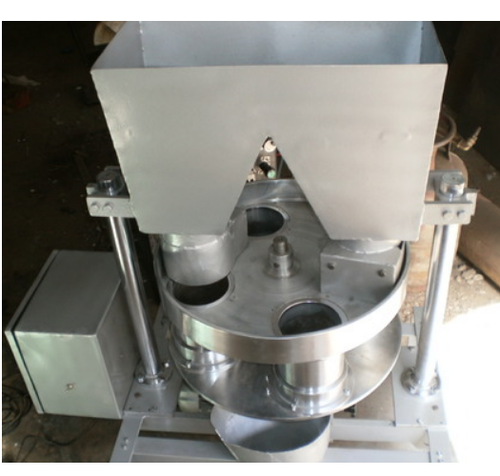 We have with us wide specifications of these machines, which are offered to customers at reasonable rates. Established in the year 2002, we, "Acme Pack Engineers" are engaged in manufacturing and exporting a vast range of Construction Machines and Packaging Equipment. Our product range comprises Vertical Form / Fill / Seal Machines, Cup Fill / Seal Machines, Bottle / Container Filling Machines and Filling Sealing Machines. Apart from these machines, we are also offering our clients a range of Construction Equipment such as Concrete Paver machine, Canal paver machine, Concrete road paver machine, Mobile Concrete Plant, Concrete Batching Mixing Plant and Transit Mixture. Our Packaging Machines have various features like reliability, less power consumption, high efficiency, durability and low maintenance. Our product range finds its extensive application in diverse industrial areas such as our Packaging Machines are used in chemical, pharmaceutical and food & beverages industry. Apart from this, our Construction Equipment are widely used in construction industry for making roads, bridges, irrigation canals, buildings, Dams & many other establishments. We are successfully catering to the business requirements of our clients spread across the globe. Our wide distribution network helps us in delivering the consignment at the client's site within the stipulated time frame. We are exporting our machines to Europe, America, East Asia, Africa. List of export countries include UK, CANADA, USA, MEXICO, UGANDA, INDONESIA.